ROGERS PARK — Two vacant firehouses on the city's Far North Side moved closer this week to becoming new neighborhood institutions as their sales advance. 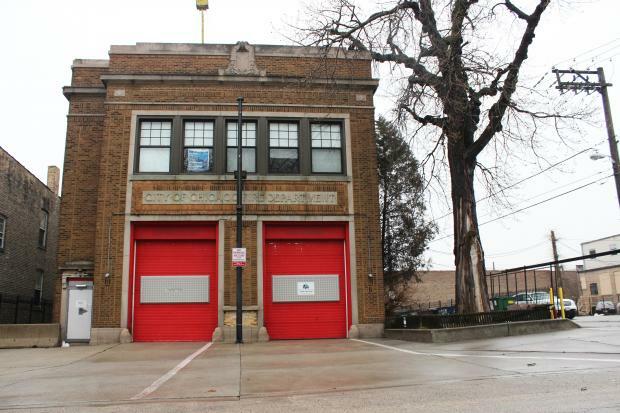 One of the firehouses, at 1723 W. Greenleaf Ave. in Rogers Park, has been on the market since December, and the deadline for bids is 4 p.m. Wednesday, said William Tom, whose company, DTZ, is marketing the property — and another on the South Side — on behalf of the city at buyafirehouse.com. The city indicated last month there was "considerable interest" in the firehouse, which has been vacant since 2009 when the firefighters there moved to a new station on Clark Street. Ald. Joe Moore (49th) said there were "several parties interested in the site," but declined to mention any by name until after the Wednesday deadline. The other firehouse at 5714 N. Ridge Ave., a Chicago Landmark, was built in 1928 and trimmed in terra cotta. Last week, the city released a Request for Proposals, seeking "the introduction of a commercial and/or not-for-profit development focusing on arts, recreation or culinary activities that are open to the public." "Residential uses will not be considered," according to the proposal. Sara Dinges, a spokeswoman for Ald. Harry Osterman (48th), said she has been keeping a list of people who have reached out to her office to ask about buying the property, which has been appraised at $360,000. She said the surrounding neighbors would like to see a community institution rather than a strictly commercial venture. Overall, she said, they were happy with the city's vision for a buyer. "A restaurant is technically permitted," she said, "but that's the not the vision [of] the community" or the alderman. Osterman said at a community meeting Tuesday night he wanted the firehouse to become a "community center." "We're looking to the private sector, the nonprofit sector to bring some ideas about what could go there," he said. Dinges encouraged anyone interested in the property to contact her office at harry@48thward.org. The sale of the landmark Ridge firehouse has been handled differently than other properties because any deal on the building must be approved by the City Council, said Peter Strazzabosco, deputy commissioner with the Department of Housing and Economic Development. He said a main goal at the Greanleaf site is to "maximize" return on the property, "whereas at the Ridge site it is about finding a good use for the historic building." The sales are part of a wider city effort to offload 11 vacant firehouses and several police stations across Chicago. "The city has a variety of police and fire stations that are no longer serving public safety purposes and are available for redevelopment," Strazzabosco said last month. In Bronzeville, the City Council is close to approving a $1, 10-year lease for a vacant firehouse to be used as a museum dedicated to African-American firefighters. Other firehouses have been sold, such as one near the Damen Brown Line "L" stop, which is now being converted into a single-family home, Strazzabosco said. Several South Side firehouses, along with other historic buildings, are listed on the city's website. A firehouse at 2358 S. Whipple St. is also for sale.